It has an articulating rear LCD preview screen. 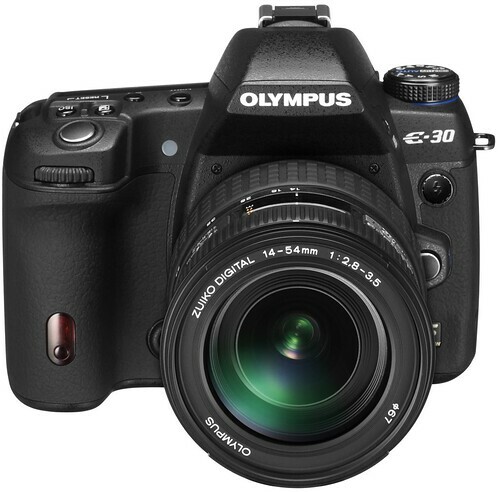 Official, full-resolution photo samples at Olympus Imaging Asia. Lenses used were the Olympus 14-54mm II and Olympus 9-18mm. Brian was lucky to be able to sample the new Olympus E-620 during a Focus on Imaging session, but he did include a few portrait samples taken with an Olympus 50mm f/2.0 Macro lens the E30. Official Olympus E-30 page at Olympus America.